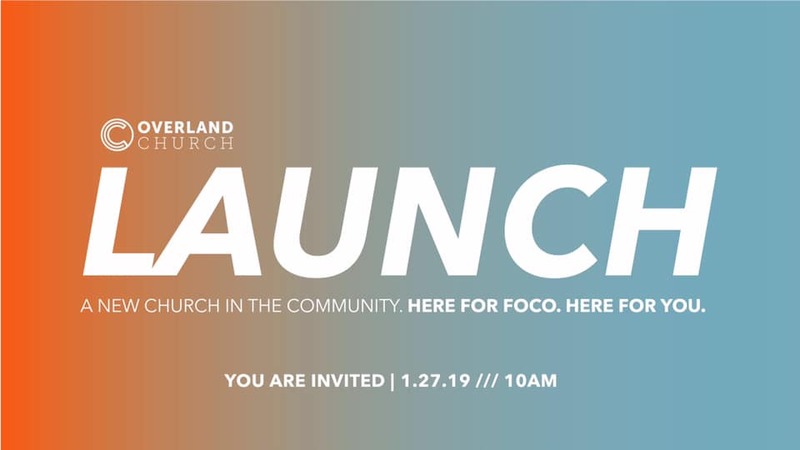 Buck Run’s church plant in Fort Collins, CO, Overland Church, launches this Sunday! Buck Run is sending a team out Wednesday to help invite members of the community to the service and to service during the first service. Below are daily ways that you can intentionally pray for Overland this week. If you’d like to learn more about Overland church, visit their website www.overlandchurch.org. Monday Pray that the building that God has given to Overland is a momentum building resource. Pray as last-minute renovations are completed that this will not bring stress to the week but would create a space where people are comfortable coming and learning about Jesus. Tuesday Pray for people to join Overland Church. The team has been intentionally engaging the people Fort Collins for over a year. Pray that these people would come to Overland, learn of what Jesus has done for them, trust in Christ, and grow in their discipleship through Overland. Wednesday Pray for Buddy Sampson and his ministry to the students of Colorado State. Through reaching these students, Overland can impact the Mountain West region by equipping students to share the Gospel and sending them out from Fort Collins as soldiers of Christ after graduation. Thursday Pray for Buckley Hancock as she leads the Kids Ministry. Overland will launch this Sunday with a robust group of kids. Pray that these kids will have open hearts to hear the Good News of Jesus and this ministry will help the church continue to reach younger families. Friday Pray for Zack Thurman in preparation for his sermon at the Launch Service. Pray that God will speak clearly through Zack and his message will provide hope to those in attendance that are searching. Saturday Pray for Justin Ray and the Student Ministry Overland desires to build. Pray that under his leadership Overland will reach the city’s next generation of middle and high school students. Sunday Pray for the first service of Overland Church. Pray that people who have been invited will choose to attend. Pray for lives to be changed through the preaching of the Word. Pray that this first service is the foundation of a church that serves the community and continually reaches people with the Gospel of Jesus Christ.